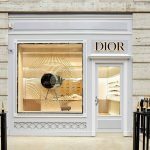 Avenue Montaigne is the original seat of Dior, and it is there that the fashion company is celebrating the opening of its first glasses boutique in early 2018. 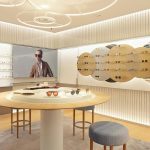 The brand’s latest collection of sunglasses and spectacles will be presented here for the first time in its own store. 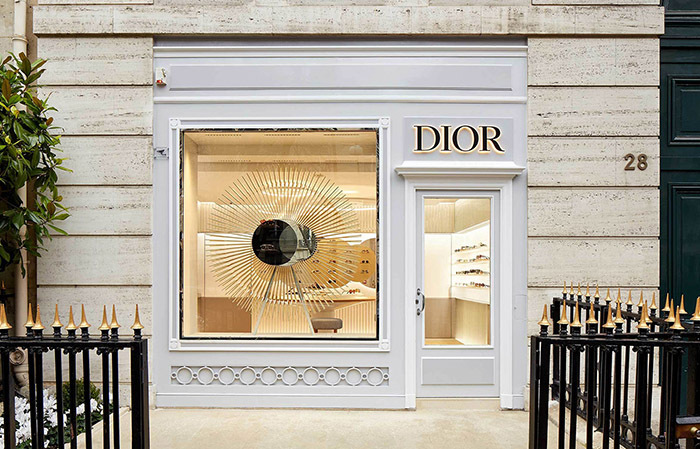 Architecture and design studio Labvert was commissioned to design the new shop, a continuation of its long-standing cooperation with Dior. 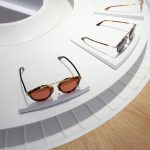 The central inspiration for the design of the shop was the motif of the sun. 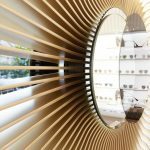 A golden sun installed in the window shines toward the outside, inviting passersby into the bright interior of the posh boutique, where illuminated glass lamellae along the walls create an impression of beams of light and their reflections. 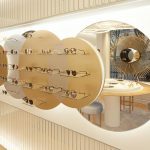 The hand mirrors and stools as well as the carpet are likewise Labvert creations, designed and crafted specifically for the Dior shop. The overall style of the boutique incorporates typical Dior brand codes alongside their modern interpretations. 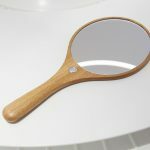 Contrasts of reflecting glass surfaces with open-pored wood and soft fabrics create an inviting and varied atmosphere. Labvert is a design and architecture studio based in Vienna. 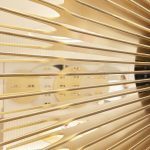 The team of architects and designers supporting Stephan Vary specialize in retail architecture, interior design and brand design in the luxury segment, and work for numerous national and international companies. Projects focus on the design and ongoing development of exclusive, strong brand names and the staging of sales and product experiences. New media and communication technologies are key elements for achieving this. Labvert offers a wide range of services covering every project step from initial conceptual design to final roll-out. In close cooperation with its customers, the studio develops and realizes individual and distinctive solutions. 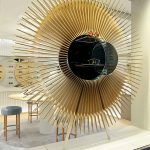 The implementation of a versatile portfolio, including both interior design and architecture as well as jewelry and furniture design, is the result of a playful interchange between spatial conception and object design.